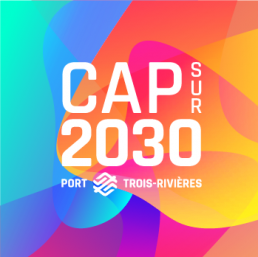 The Trois-Rivières Port Authority (TRPA) mission is to meet the objectives of the Canada Marine Act through sound management of public infrastructures under its responsibility, by fostering commercial activities and regional and national development. Restoring, maintaining and developing the marine infrastructures needed to promote and safeguard Canada’s competitiveness and trade objectives. Setting up an intermodal transportation system that meets users’ needs at a reasonable cost, and providing a high level of safety and environmental protection. Providing effective support for the achievement of social and economic objectives at the local, regional and national levels by fostering commercial activities. 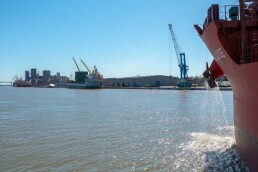 To be an innovative urban port, generating growth, at the heart of a competitive supply chain. Striving for excellence is to ensure, through concrete and effective means, the quality of the services offered. Therefor, striving for excellence is the unswerving desire to improve. Professionalism is characterized by the quality of the work carried out by the workers, through their professional rigour, by maintaining their skills and their high level of performance and expertise. This translates into the passion of its members in the exercise of their responsibilities as well as the energy they invest in their work. Dynamism is also characterized by the environment in which a person works and lives. This environment should be stimulating, interesting and refreshing. The TRPA relies on a team that brings together a vast diversity of skills working in synergy and able to adapt to changes. The TRPA strives towards innovation, leadership and openness. As an avant-garde port, this means we always aim to be a step ahead of the others.